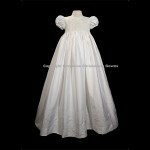 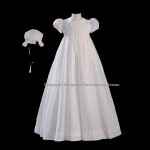 A beautiful and stylish extra long 31″ organza christening gown. 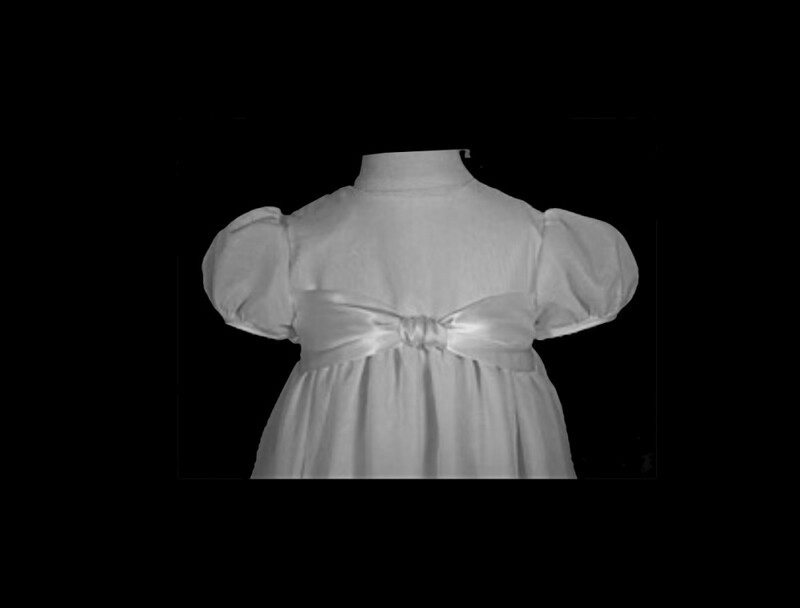 This christening gown is accented with wide satin ribbon at the bodice and finished with wide satin ribbon at the bottom of the skirt giving it a very elegant look. This gorgeous christening gown is handmade. 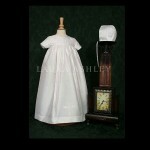 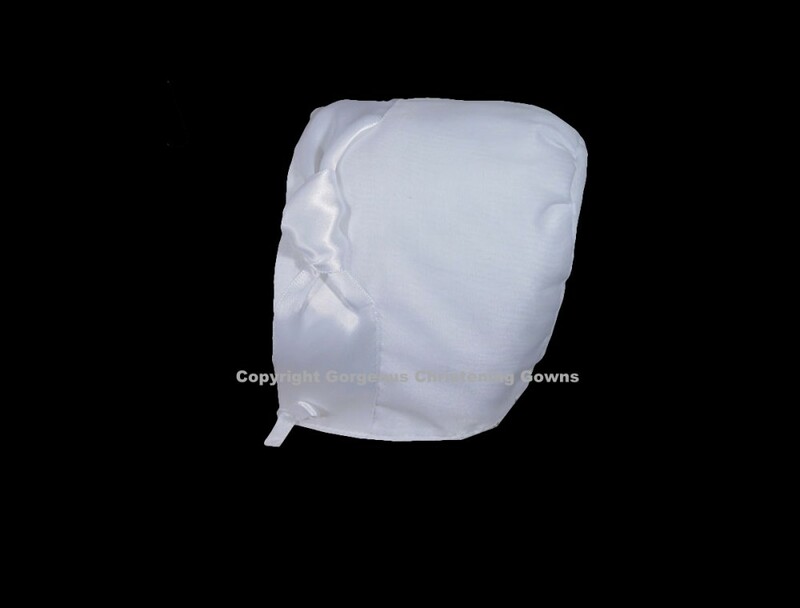 Matching Bonnet and separate slip are both also included. 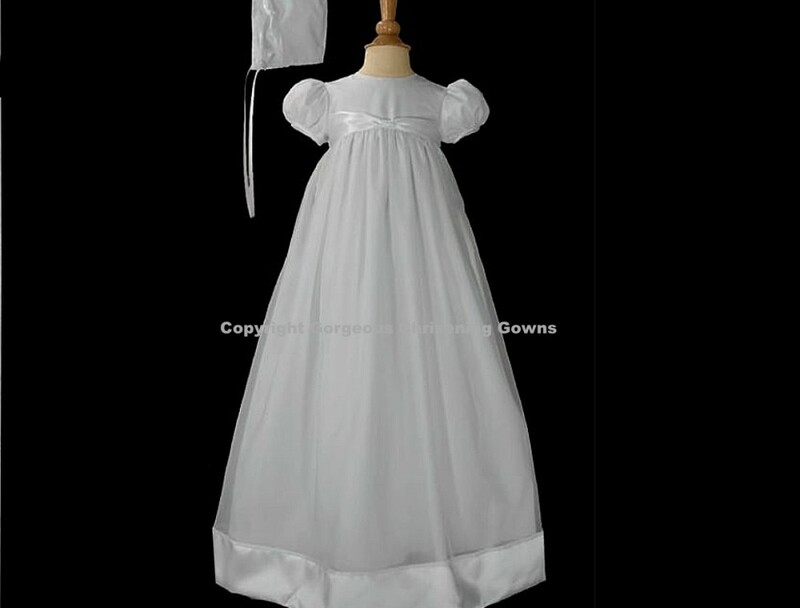 This gorgeous christening gown is fabricated from 100% Polyester Organza & Polyester Satin Ribbon with polycotton broadcloth lining.